I explained in an earlier post how the government of Bhutan charges a minimum USD $200 per person per day fee to all tourists irrespective of what they do, a fee that’s set to increase to $250 next year. I went on to explain why, if you can afford it, this fee might be worth paying in view of the many unique experiences Bhutan offers. This is my follow-up post, for there is a converse argument. If you think you would like to visit Bhutan but don’t think you’ll be able to afford it or justify the expense, there are alternatives, such as Darjeeling, Sikkim, Ladakh and Nepal, that offer many of the same things much more cheaply. Whether you’re looking for beautiful scenery, Buddhist culture or mountains to climb, all of these things can be found elsewhere. Why pay $200 per day for them? If you’re travelling on a budget or are only looking for a variation on the things Bhutan offers, here are five reasons why I think the $200 per day is not worth stumping up for. Much is made of the fact that Bhutan only introduced television sets in 1999, and many people think of it as an inward-looking insular Shangri-La, untouched by the trappings of the modern world. 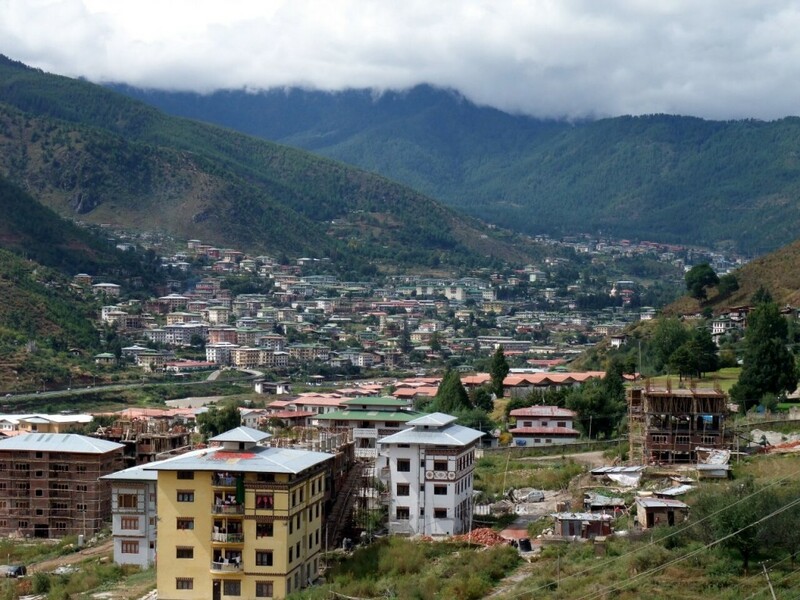 But make no mistake: Bhutan is moving rapidly into the 21st century, with good roads, an international airport, and plenty of internet cafés to choose from in the capital Thimphu. I remember one bar I visited in Thimphu being plastered in posters of Manchester United players. The owner had become a Man Utd fan after watching live English Premier League football piped in by satellite TV. He was even able to fill me in on the footy scores I’d missed while out on trek. There are other less obvious reasons why Bhutan is no Shangri-La. We think of it as a non-violent Buddhist nation where its kings are introducing democracy voluntarily and stray dogs multiply because nobody wants to have them put down. This may be true, but there is also a sinister side, no different from many other countries. In the last 20 years around a sixth of its population, more than 100,000 people, mostly Hindus, have sought refuge in India and Nepal after complaining of persecution in their own country. There is also an Indian underclass. While driving by road from Wangdue to Thimphu I remember being surprised by the number of road crews labouring by the side of the road which seemed to be staffed mainly by women. Upon enquiry I was told that these were Indian citizens who had come over for work with their families, and that their husbands were probably sleeping in the tin shacks that we passed close by. A Layan women’s headdress would certainly be a distinctive souvenir from your travels, but is it worth $200? So you’re forking out $200 a day for food, accommodation, guide and driver, but everything else must be cheap, right? After all, it’s a mostly rural economy, and they have all the resources they need, don’t they. Wrong. Bhutan imports a large quantity of goods from India, and I’ve spoken already of how it’s moving into the modern world. These are a canny people who are well aware of the value of their culture to outsiders, and wily negotiators for sure. This is aided by the fact that most of the tourists who visit are wealthy almost by definition because of the high tourist fee. 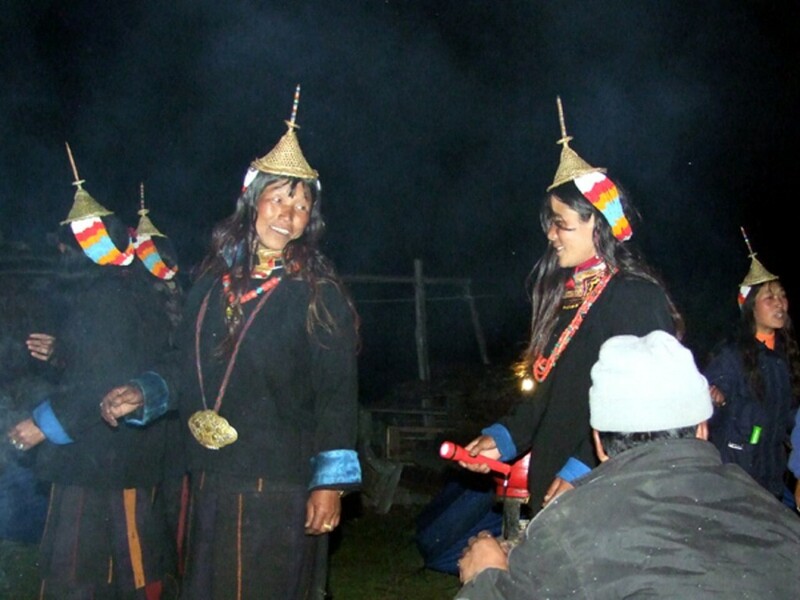 I remember being offered a Layan headdress, a bamboo hat with a large spike and colourful woven fabric at the back, worn by the women of the remote village of Laya close to the Tibetan border, for USD $200. This must be a staggering amount of money for a rural society which survives comfortably by trading skills and commodities with its neighbouring villages. I was sure the price would come down dramatically once we started haggling, but no. The price was non-negotiable, and at the end of the day she didn’t need the sale and could afford to let the money pass. The same trinkets you can buy for relatively little in Nepal are often more than twice the price here. Then there are the ‘tips’. I did the Snowman Trek with an organised tour operator, the Australian adventure travel company World Expeditions, who proudly proclaimed early on in their trip notes that they didn’t ask for a ‘local payment’ like some tour operators (a compulsory hidden cost you must pay in cash on arrival which isn’t included in the operator’s advertised cost for the trip), then on a later page stated that trekkers should allow $400 in ‘tips’ in order to pay the yak drivers and muleteers that would be transporting our equipment on trek. $400 for an essential service isn’t a tip in my (or anybody else’s) book, but local operators had begun charging it, and international companies which need to subcontract to the local companies in order to operate in the country, had allowed such practices to undermine their own responsible tourism policies. World Expeditions were by no means the only tour operator doing this, and to put the price in context, $400 was comparable to what I paid in tips the previous month to our elite Nepali Sherpa team on Gasherbrum, an 8000m peak in Pakistan, to risk their lives fixing ropes and transporting equipment through ice falls at a very high altitude. The further east you go in the Himalayas, the wetter it gets. Bhutan is right at the eastern end of the high Himalayas, and Bhutan is certainly wet. 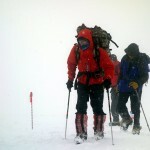 I remember having to put up with heavy rain almost every day when I did the Snowman Trek in October, supposedly prime trekking season, and yet our cook, who was doing the trek for the umpteenth time, said it was one of the half dozen Snowman Treks he’d done when he’d had really great weather. 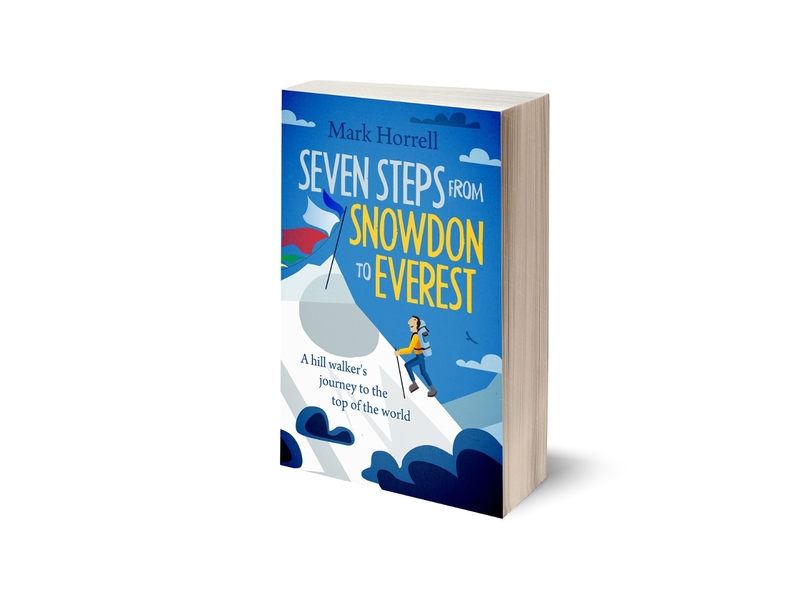 They say more people have climbed Everest than have completed the Snowman Trek, and around half of the people who start it have to turn round. The reason for this is they tend to use yaks rather than porters to carry equipment (porters are almost unheard of in Bhutan, yet are a part of life not far away in Nepal), and a lot of snow up high can close the passes. I got a right soaking, but I completed the Snowman Trek, so I was lucky. Perhaps as annoying as the rain is the cloud. Even when it isn’t raining, cloud hangs around the high peaks, and getting a great view of giant white snowcaps is rare. I spent three days trekking up to Jhomolhari, one of Bhutan’s most beautiful mountains, and a further three days camping by its base, but rarely got even a glimpse of glacier. This is key for me, as a very keen hiker. The fact is, they’ve been doing it for longer in Nepal, the scenery is more dramatic, and the weather and the trails are better. I’ve already talked about the weather, and the combination of yaks tramping over very wet surfaces can make the trails a quagmire, where it’s difficult to admire the scenery because you’re constantly having to watch where you’re putting your feet, but some of the other factors need qualifying. It’s standard practice when trekking in the Himalayas to go with a crew of guides, kitchen staff and porters (or in the case of Bhutan, yak drivers and horsemen) who carry your kit from camp to camp, pitch the tents, cook dinner and wake you up every morning with bed tea and breakfast before breaking camp for the next day’s trekking. It sounds luxurious, and for a wild camper it is, but some people do it better than others, and in Nepal they’ve become very good at it. The food’s better, and they break and pitch camp more quickly. 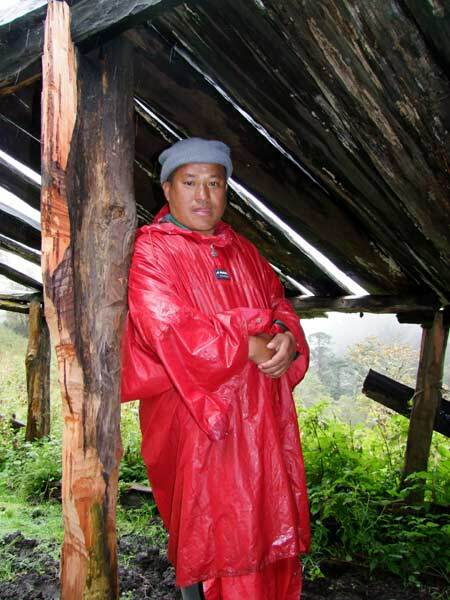 Often in Bhutan I found myself waiting around in the cold after breakfast, and at the end of the day I nearly always ended up erecting my own tent because it was quicker. This may sound churlish, but if you’re paying premium prices in Bhutan, you should be getting better service, not worse. There’s not just the standards of service they’ve become good at in Nepal. They’ve generally had more time to adapt to responsible tourism practices. 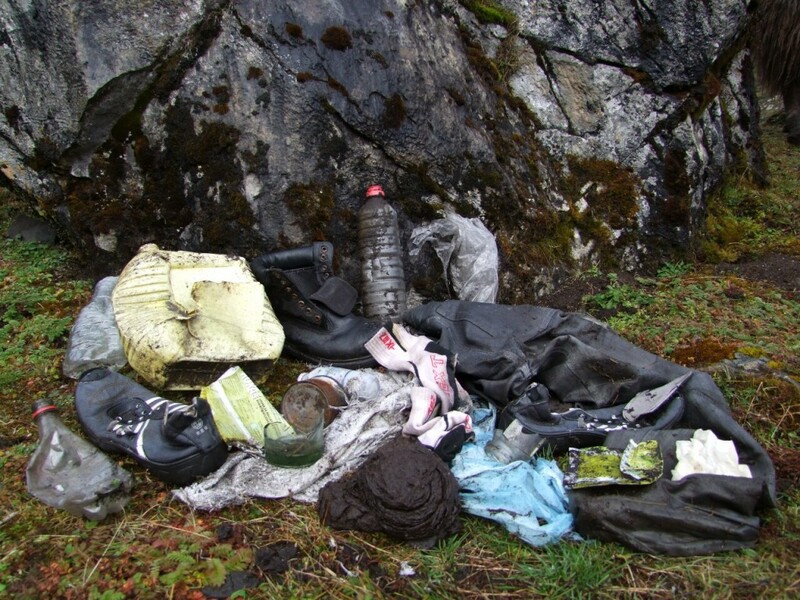 There are irresponsible operators in Nepal, for sure, but there are also staff who are very keen environmental practitioners, for whom it would be unthinkable to leave litter behind on trail. One night on the Snowman Trek I stayed in one of the most despicable campsites I’ve ever seen in one of the most beautiful locations, beside a lake in a bowl high above a deep forested valley. Broken glass, plastic bottles, tin cans, old boots and toilet paper seemed to cover every square metre of the place we stopped to camp in, but nobody seemed greatly embarrassed by it. Finally, the scenery. 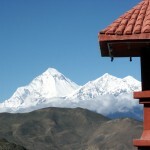 Bhutan’s landscape tends to be more rolling, with giant snow-capped mountains spread out on the horizon at intervals, often obscured by clouds. Beautiful, for sure, which I have very many happy memories of, but it’s not like parts of Nepal, where you’re right in amongst it, surrounded by the most improbable giants at every turn. I have some great photographs from my trekking in Bhutan, but when I think of my all time favourite Himalayan views, they are elsewhere. 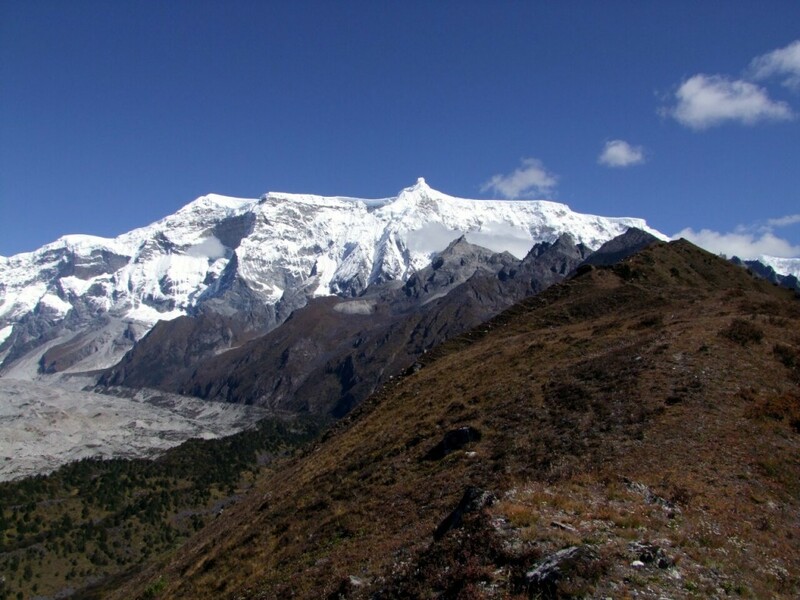 It’s a little known fact that Bhutan contains the highest unclimbed mountain in the world. 7570m Gangkar Punsum is the highest mountain in Bhutan and the 40th in the world, but as of 2011 no one has yet set foot on its summit. Why? Locals in the Laya and Lunana region of Bhutan believe the summits to be home of the mountain gods, and by climbing them we profane the deities. After a British team attempted Gangkar Punsum in 1986, they complained to the government and a general ban on mountaineering was introduced as a result. While other countries such as Nepal have confronted the problem of offending the gods by a permit system and designated holy mountains which remain unclimbed, Bhutan chose to introduce a blanket ban which remains in force to this day. So while the country would be a mountaineer’s paradise with literally hundreds of remote unclimbed peaks to choose from, if climbing’s your activity then head elsewhere. That’s it then – why bother going to Bhutan, when I can visit Nepal far more cheaply? Certainly, if money is a consideration, then I’ve argued that you’re far better off going to Nepal. Not only that, Nepal has and does many things better than Bhutan. But I loved Bhutan, and I’ll be going back one day I’m sure. Why? For many reasons I’ve outlined in my previous post, and if you think you can afford it then you should read this as well. IMHO, both sides of the argument are equally valid depending on your perspective. i’m sonam and i’m from bhutan. the bhutanese are very very very very very happy to be born in such a blessed country and i respect the fact that you didn’t like our country as much. we’re sorry that we couldn’t fulfill your needs. but one thing, for us…bhutan is definitely the last SHANGRILA on earth. Do you think if the police find me I’ll go to jail if I dont pay those 200 USD dor day cause that would be like 12000? If you are looking for advice on travelling illegally in Bhutan then you are on the wrong website. Usd 200 per person per night seems expensive in Bhutan but it depends the way of service provided by Tour operators in Bhutan. May be one reason is you are not satisfied of the service provided by your organizer. I feel that if we provide good service with USD 200 you will feel Bhutan is not expensive. It is purely on quality of service. If you provide USD 200 and service is not up to that mark then I believe everywhere is expensive. If I am not mistaken you are talking about mountain in Bhutan where mountains are not visible. I doubt that you were on wrong trek in Bhutan because October is not a good season for Bhutan mountain trekking and it is fesible only through low mountains and may be you got wrong information from your organizer. 200 dollars a day, just for being in the country, is expensive. There can be no argument with that. But that’s not what the post is about. The post is about whether Bhutan is *worth* paying an extra 200 dollars just for being there. Here you’re right: if you have good experiences then you may well feel that it’s worth it. Be sure to read the companion post to this one, about why an extra 200 dollars a day is worth it. It cost this to avoid people like you that only want to be there trekking and nothing more. 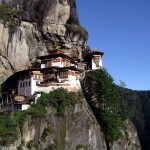 First you should learn about Bhutan philosophy, and then travel there. First you should learn more about me, Pandareta. There are plenty of posts about Buddhism on this site. I’ve read a great deal about it since I first travelled to the Himalayas, and have acquired an interest. Good work. I feel its constructive criticism which help us to know our short comings. But i don’t understand how you were charged US$400 extra as tips? Tipping is not compulsory and we remind our clients time and again. Every tour operator in the country mustserve full-fledged hot meals on the trek which includes at least six to seven items on every meal. I don’t know how you didn’t get an energy-rich good meal when its necessary especially on a strenuous trek like the snowman. All local operators should have advance team ready at the camp site with the the tents pitched and hot tea/coffee ready to be served on guests’ arrival. This I feel is a sporadic incidence and cannot be generalized. Please do not stop visiting Bhutan. I am sure you will have much more good things to say and point out the flaws too. Thank you. The issue for me is that you’re forced to travel as part of a tour. I take the greatest pleasure in travelling alone, figuring out my own path and getting that amazing sense of discovery. Being stuck on-rails in some pampered hand holding tour turns me off Bhutan. If I’m ever in the financial situation to enjoy a month in Bhutan I really hope they change this policy. The whole $200/day also has the negative effect of putting locals in the mindset that all foreigners should pay through the teeth for everything. I would not feel terribly welcome around that sort of attitude. Well said and you have pointed out things that the Tourism Council have been struggling with i.e. such as rubbish and expensive ‘tourist’ prices. Please note that USD200 or USD 250 per day includes three meals, transportation, guide, driver, car, accommodation, etc…so really tour operators don’t get much at all but the Government does make good money with the USD 65 royalty tax, which does go back to the development of the Kingdom. I did the snowmans trek in October 2013 and I agree with you questioning the value Mark.I booked directly with well known Bhutanese tour operater and especielly addresed my wishes for meals and my concern for attitude of guide.I have never experienced anything like it and not for the better. Half the trek was about chewing betelnut. Somewhere along the way alcohol came into the picture. I will cut it short but I had to ask him to join another group for his own safety as not to walk alone.screaming shouting crying, hitting himself in the head with stone. Altitude sickness at Nyi La from drinking, snowblind from not bringing glasses. He was a safety risk. Leaking tent, fresh apples not there after Thanza nor neither canned fruit.It was very very basic food. Along the way this guide made it clear that the crew were discussing whether or not it was acceptable that I did not want to tip the young horseman who had been fighting with the cook and refused to go on at Jomolhari camp so the owner had to come up from Paro.I made it perfectly clear I would not be doing so regardles. At Laya I had a new horseman who did well. Well over half the trek I trekked with my 2 assistents and especiel the one was a real gem. I did finish the trek and had a new guide waiting with quite a different attitude. Like Mark I find that tips are exspected and some Bhutanese tour operaters clearly state guidelines on this issue. The quality of this trek was low in regards to food and equipment, leaking tent.The cook got hit by yak that split his boot so I had to give him my spare, one assistent had so poor boots that the sole came apart from the boot neither did he have a rain coat so bought him one in Laya. I expect the tour operater to provide properly equipped staff. The income of prime minister in Bhutan is 840 $ pr month in 2013. This puts the tariff and the huge expectations for tips into perspective. This was my 3rd visit. When a country wants high prices the standard its standard should be high ad well. Staff should not be getting drunk at altude or talking drugs. This is dangerous at altitude. 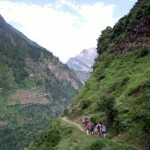 I think you wrote an online book about your trek did you not? Quite a biased write-up, considering the same writer has written the positive part of the story. Being from India, I appreciate the effort taken by Bhutan, to keep the country a “virgin” destination. If the cap pricing was taken off, I could imagine what kind of a country it would be right now. Pay up and enjoy the country or keep quite and stay away.